Because The Filipino Channel (TFC) is all about bringing the best, world-class entertainment across the world, highlighting the massive talent that Filipinos possess or ‘Galing ng Filipino,’ the premier channel is once again flying the “OK Go!” celebration this year to two cities in Australia via “OK Go! Australia”: Melbourne on September 18, Friday at the Planetshakers Auditorium and Sydney on September 20, Sunday at the Rosehill Gardens Racecourse, James Ruse Drive. Headlining the two-city “OK Go! 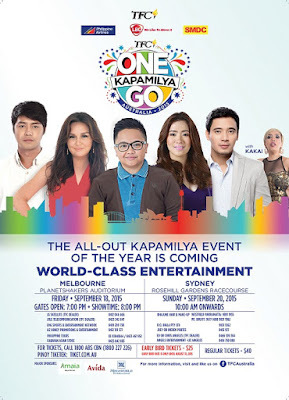 Australia 2015” event are two of the best powerhouse singers in the Philippines and certified hit makers, Erik Santos and Angeline Quinto. To spread uniquely Pinoy kilig moments, “Dream Dad” couple Zanjoe Marudo and Beauty Gonzales will be joining this year’s OKGo! 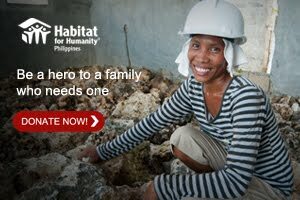 To add to the event’s energy and laughs, comedienne-singer Kakai Bautista will give everyone a blast. Last and certainly not the least, Aiza Seguerra’s soothing vibe will cap what promises to be an amazing show. 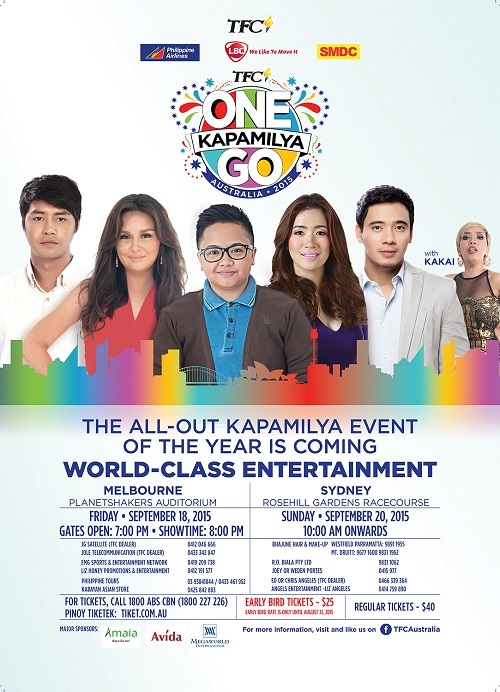 ABS-CBN Australia Country Manager, Jay Santos shared his excitement over mounting this event for Filipinos in Australia. “Last year, Filipinos in Australia really showed their utmost support when we first brought in the ‘OK Go!’ leg in the country. We hope to see the same amount of support from them or even more this year because events like these are really for our dear kababayans’ hardwork and dedication,” Santos shared. Meantime, ABS-CBN Global Ltd. Managing Director for Asia Pacific Ailene Averion expressed that the premier network’s main reason for putting up an event like “OK Go! Australia” is to bring the Philippines closer to the Filipinos in Australia and to bring them closer to each other while in their second homes. 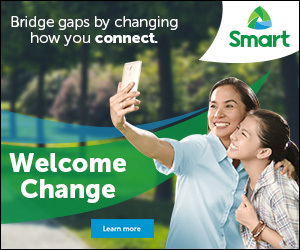 “TFC’s main goal is to bring a semblance of home to Filipinos in Australia and to bring the Pinoys together despite the terrain. Filipinos in Australia are spread out and it has always been a challenge for us to connect with them so we mount these kinds of engagements in order for our kababayans to come together, celebrate the Philippine culture and revel in our Pinoy pride as one community.